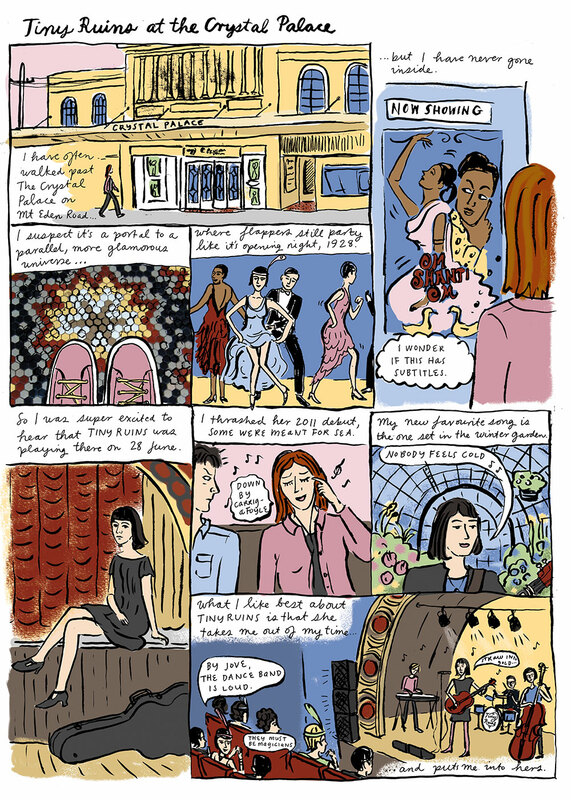 This is my comic for the last issue of Metro Magazine – the new Metro is now out, wending its way to newsstands. I did get to see Tiny Ruins, and they were fabulous. 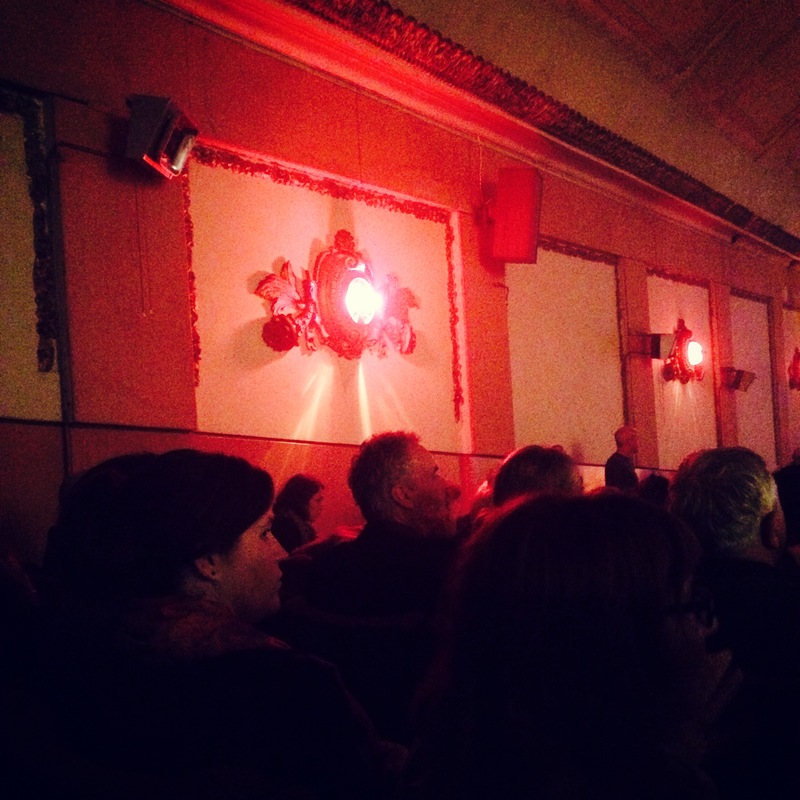 The inside of the Crystal Palace was almost everything I’d hoped for – decaying splendour – and it put me in mind of Elizabeth Knox’s Dreamhunter duet, where people went to theatres such as these to experience the dreams of the master dreamer. Unfortunately there were no flappers – only hipsters. 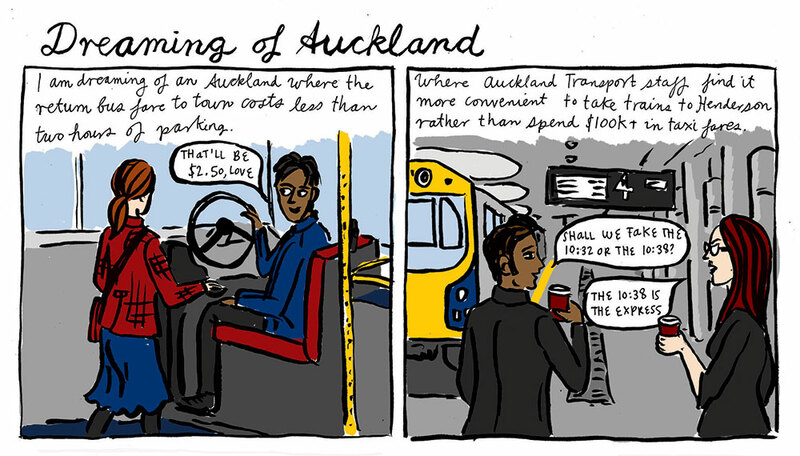 And here is a sneak preview of the comic I’ve got running in the next issue – it’s my public transport fantasia, where Auckland trains are reliable, you can hook bikes on the front of buses, and pedestrians get to share inner city spaces with trams. Last night I took the ferry across to Waiheke where I had my One Island, One Book evening at the beautiful new Waiheke public library. Public transport failed me – my connecting train was 15 minutes late so I had to grab a lift to the ferry terminal. And the last train back to Mt Albert left 5 minutes before the ferry landed. Arrrgh!!! Auckland, step up! 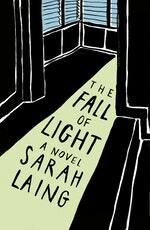 It was so gratifying to be in a room where a significant number of people had read The Fall of Light and wanted to talk about it. They broke off into groups and vigorously discussed character and plot issues. They came back to report that I’d got the adoption part right, which I was deeply relieved about, because I didn’t have direct personal experience, and I had relied on research. And tomorrow I’m off to Christchurch, the big ruin in the title, to wave the flag for NZ comics as part of the very exciting Word writers festival programme. I can’t wait. Christchurch, see you there! I’ve wondered about Crystal Palace too. I kind of feel that some boxes are better left unopened and to the imagination, though it sounds like your experience was quite good.